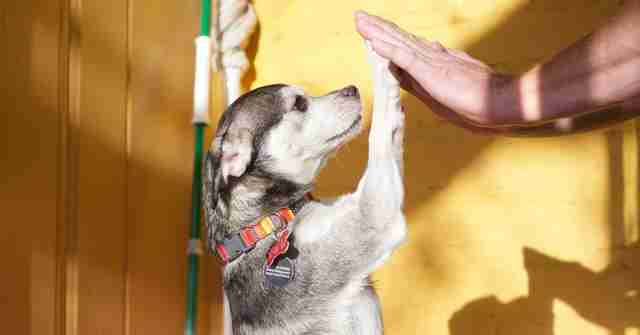 Houdini the dog had been living on his own in Los Angeles for two years. 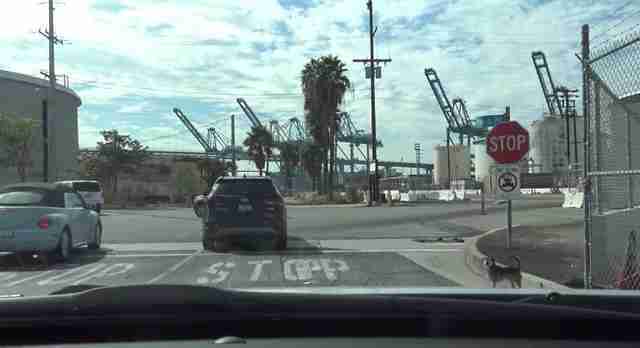 He mostly spent his days at the port of San Pedro. 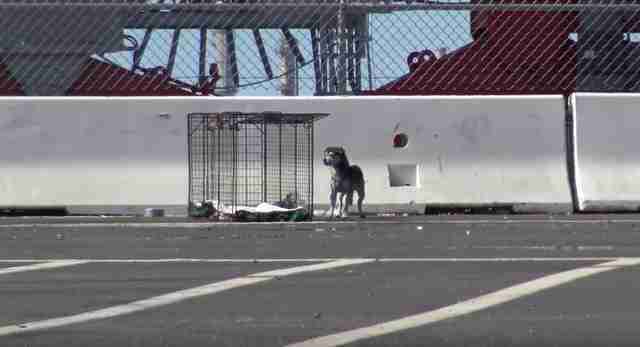 "People at the port fed him and gave him water, but he wouldn't allow anyone to get too close to him," Eldad Hagar, founder of Hope for Paws, told The Dodo. "He was just too scared." 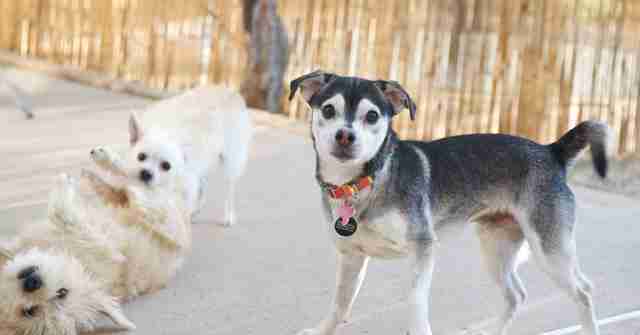 Staffers at Hope for Paws, a rescue based in Los Angeles, got a call about Houdini a few weeks ago and knew they had to help - but had no idea when they agreed just how hard Houdini's rescue was going to be. 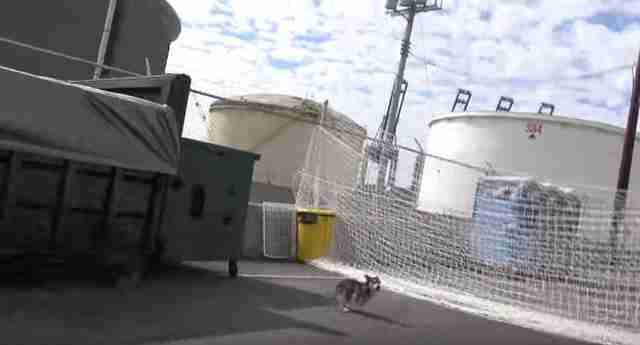 The port was a wide open space, which meant that Houdini had plenty of room to run and hide. 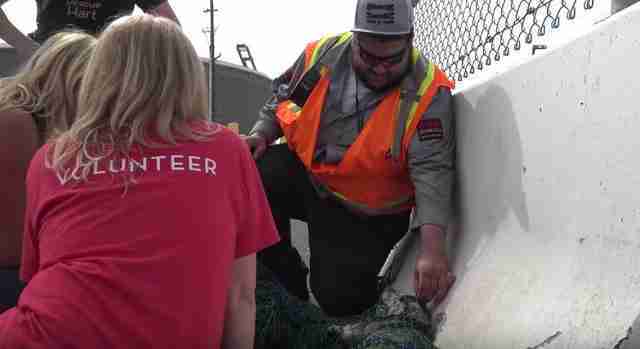 Six months earlier, animal control managed to catch Houdini in a trap, but he escaped from it, and so the rescuers from Hope for Paws knew they had their work cut out for them. ... but Houdini was much too smart to fall for it. On the second day, Hope for Paws teamed up with Rescue From the Hart, and seven people headed to the port to try and rescue Houdini again. 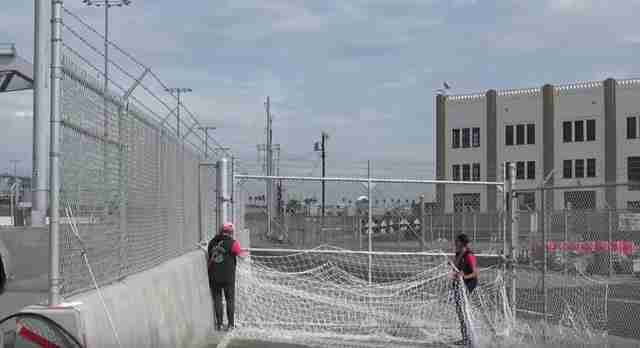 They attempted to secure the entire port with temporary fences and netting so that Houdini couldn't escape. 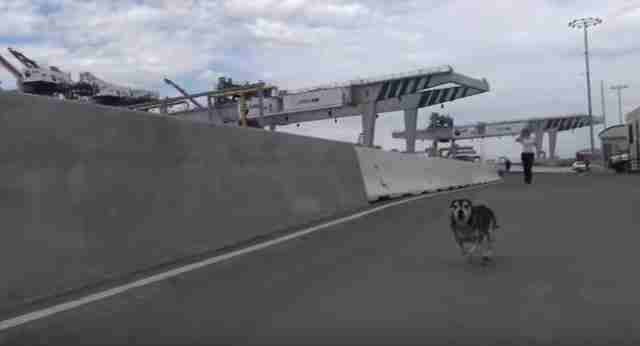 As soon as the scared little dog saw all the rescuers, though, he ran like crazy. They chased and chased him, until it started to rain and Houdini disappeared again. On the third day, the team returned with 10 rescuers this time, all determined that this would be the day they brought Houdini home. As the small army of volunteers drove into the port, Houdini appeared out of nowhere to greet them, as if to say, "Haha, you'll never catch me!" This time, they brought even more netting and fencing, and made sure that every possible exit from the port was sealed. "There was just no way out of there," Hagar said. 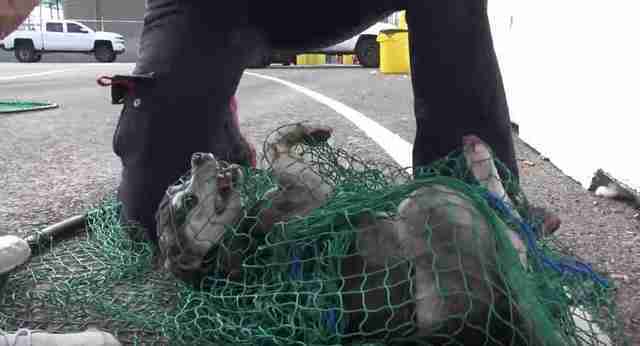 Each rescuer was given his or her own individual net, and everyone spread out so that someone was at every corner of the port. Houdini was so terrified, but the team of loving rescuers was so determined to catch him and help him overcome his fear. 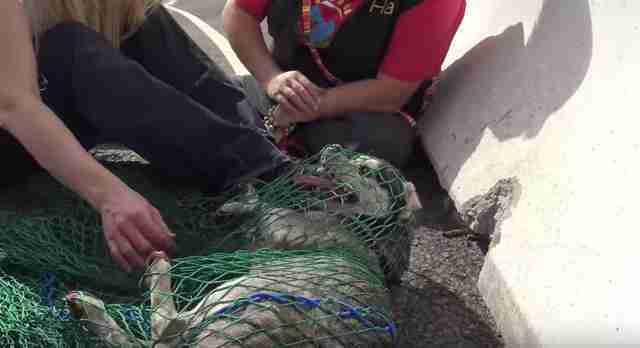 After lots of sprinting, shouting and strategizing, the team of rescuers was able to secure Houdini. ... and then Houdini was shown affection for the first time in two years. After that, everything was OK.
One of the security guards who had been feeding Houdini came over to say hello, too, and helped to calm the little dog down even more. 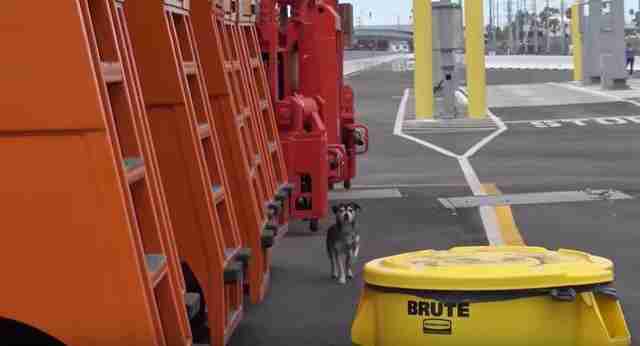 Once Houdini was nice and calm, rescuers were able to take him away from the port forever, and off to get cleaned up and checked out. Houdini is now being fostered through Rescue From the Hart, and is looking for his forever home. "Houdini is doing great," Hagar said. "He is such a happy dog, loves people, loves dogs, it's almost weird how fast he turned around." If you'd like to adopt Houdini, you can contact Rescue From the Hart to find out more.